BEIJING (April 6): A flurry of data in coming weeks is expected to show China posted solid economic growth in March, as President Xi Jinping and President Donald Trump meet for the first time this week with China's trade surplus expected to be high on the agenda. Trump has foreshadowed the risk of talks being tense, tweeting on Thursday that the United States could no longer tolerate massive trade deficits and job losses. While Trump has not followed through yet on campaign threats to label China a currency manipulator or impose punitive tariffs on Chinese goods, many analysts reckon the new administration is just beginning to flex its trade muscles. China's import growth for March is likely to remain strong, while exports could rebound modestly, according to Reuters polls, producing an expected trade surplus of US$10 billion after a rare deficit in February. Exports were expected to rise 3.2%, while imports were seen up 18%, led once again by raw materials such as iron ore which are feeding a months-long construction boom. Imports had surged 38% in February while exports unexpectedly dipped, but China's data in the first two months of the year can be heavily skewed by the timing of the Lunar New Year holidays, when many businesses shut for a week or more. Reflecting continued strength in the manufacturing sector, and particularly heavy industry, China's producer price index (PPI) likely rose 7.6% from a year earlier, after jumping 7.8% in February, its fastest pace in nearly nine years. However, while factory surveys show manufacturers have been able to pass on some higher input costs by raising prices of their goods, there has been scant evidence of it flowing through to consumer inflation and becoming a worry for policymakers. Many analysts believe China's producer inflation may peak soon, and see consumer inflation remaining mild. The consumer price index (CPI) is mainly driven by prices of food, particularly pork, and services. The CPI likely rose 1% in March, after slowing to 0.8% in February, its weakest pace since January 2015, as food prices fell. Beijing is targeting consumer inflation at 3% this year, unchanged from 2016. China's foreign exchange reserves likely edged up in March to US$3.01 trillion after unexpectedly rising for the first time in eight months in February, rebounding above US$3 trillion as a regulatory crackdown and a steadying yuan helped staunch capital outflows. The rebound in reserves could ease fears in global markets that China will engineer another sharp one-off devaluation of the yuan, which would run the risk of inflaming trade tensions with the new US administration. China announces foreign exchange reserves on Friday, followed by inflation and trade data on Wednesday and Thursday respectively, while loan and money data is expected anytime from April 10-15. China will release first-quarter gross domestic product (GDP) on April 17, along with March industrial output, retail sales and fixed asset investment. Industrial output was expected to have remained at 6.3% in March, from 6.3% in Jan-Feb combined, while fixed asset investment was likely to grow 8.8%, down from 8.9% in Jan-Feb.
Retail sales were expected to grow 9.6% in March, marginally better than 9.5% in Jan-Feb, which was the weakest pace in nearly two years. 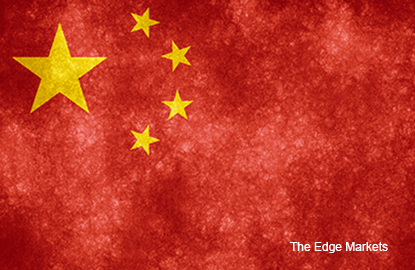 Analysts are awaiting early March data before fine-tuning their GDP forecasts for 1Q, but some expect it will be roughly in line with or possibly even slightly stronger than the 6.8% growth China posted in the fourth quarter of 2016. Many analysts think that may be as good as it gets for Chinese growth this year, even if Trump takes no direct action on trade in coming months. Activity is expected to start cooling later in 2017 as the boost from record bank lending and strong government infrastructure spending last year begins to fade. Chinese iron ore and steel prices fell sharply in March on worries that high inventories were already signalling supply is outpacing demand. Intensifying government measures to get the overheated housing market under control could also brake economic growth, though few market watchers predict an outright property crash. Loan data will also be closely watched for signs of whether authorities are sticking to credit-fuelled stimulus despite official warnings about the risks from a rapid build-up in debt. Chinese banks likely extended 1.25 trillion yuan (US$181.29 billion) in new loans in March, up from 1.17 trillion yuan in February but far below January's 2.03 trillion yuan, the second highest ever. In recent months, the People's Bank of China (PBOC) has adopted a modest tightening bias in a bid to contain financial risks, though it is treading cautiously to avoid crimping economic growth — which Beijing has said will be a more modest 6.5% this year. In a bid to reduce leverage in the financial system, the PBOC has bumped up interest rates on money market instruments and special short- and medium-term loans several times so far in 2017, though analysts do not expect a full-blown policy rate increase this year.